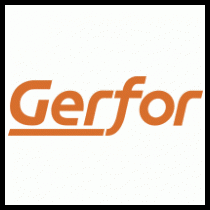 Gerfor is a Columbian multinational company serving the plastics and synthetic fibres sector of the petrochemical industry. It is one of the leading South American companies in the production and commercialisation of PVC and CPVC piping’s and fittings for the construction and sewerage industries including tiles, covers, faucets, and solvent cement. On a daily basis, Gerfor uses over 200 technical standards and management systems in the areas of research and development, product design, engineering, production, procurement, sales, purchasing, and marketing from national and international standards organisations like the Colombian Institute of Technical Standards and Certification (ICONTEC), the International Organisation for Standardisation (ISO), ASTM International, and the American Society of Mechanical Engineers (ASME). Participating in standards development for more than 20 years has led Gerfor to achieve savings of over five million dollars annually. Using standards allows Gerfor to expand their domestic market, meeting and driving demand for quality products; access international markets by fulfilling market entry conditions; optimize internal operations increasing productivity and efficiency through continuous improvements of systems and processes; ensure the quality of supplies; and, build consumer confidence.